October 12, 2018 7:02 pm. 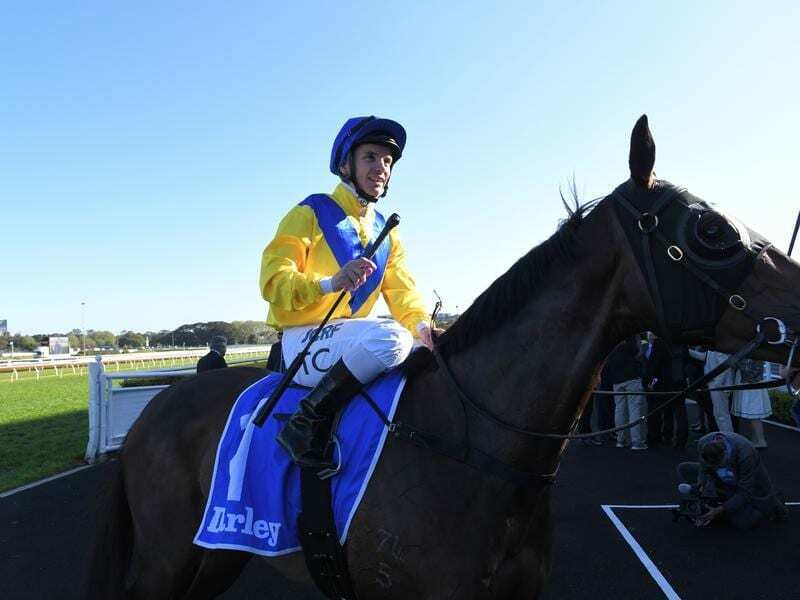 Oohood is a maiden no more after claiming the Group One Flight Stakes at Randwick. Oohood is Australia’s best maiden no more after shedding that tag in style with a Group One win in the Flight Stakes at Randwick. The Tony McEvoy-trained filly had placed in three Group One races as a juvenile and had netted more than $1 million prize money from her first nine starts without winning a race. That all changed at Randwick on Saturday when Oohood finished powerfully to win the final leg of the fillies’ Princess Series in Sydney in a thrilling four-way finish. “I feel a bit numb. It’s a great relief,” McEvoy said. But after close seconds in the Golden Slipper and Sires’ Produce Stakes at Group One level last campaign, McEvoy admitted he again feared another heartbreaking near-miss late in the race. “I’ve got to say coming up the straight I thought, ‘oh no here we go again, not another close finish, beaten in a photo again’,” McEvoy said. “Thank god she just put her nose out for us. “She was stiff in the Blue Diamond, stiff in the Slipper, I thought. And stiff in the Sires’. Under the urgings of jockey Tim Clark, Oohood ($14) kept finding from back in the field to get home by a half-head over Fiesta ($5.50) with a nose to Nakeeta Jane ($14), who charged home on the outside. Favourite Miss Fabulass ($2.25) kept rallying after over-racing but narrowly missed a place in fourth. Oohood had been out of the placings in the first three legs of the Princess Series this spring but McEvoy never lost faith and sensed she was ready to fire in the Flight. “She’s been behind in her coat after coming up from Melbourne, but it’s come through today,” he said. With a Group One win now secured, McEvoy plans to take on the colts and geldings with the filly in the $2 million Group One Caulfield Guineas (1600m) in two weeks. Clark said he rode the filly quietly in a bid to get her to finish strongly. “It was a bit messy but she was really strong late and knuckled down,” he said.